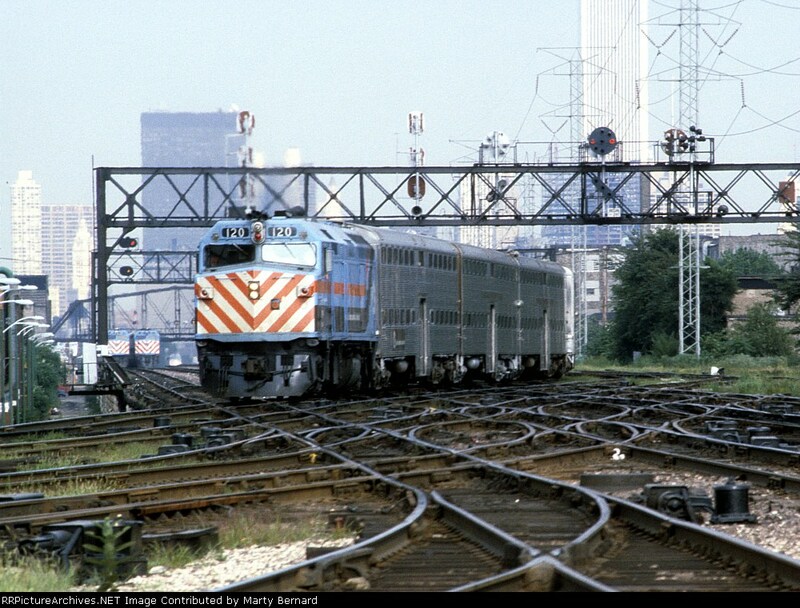 This is a Milwaukee Road Line afternoon outbound crossing the CNW west line. Note the two CNW line trains in the distance. The one at the left just came from the yard (where the photographer is standing) and is headed for the depot. The other is an outbound full of commuters headed west.